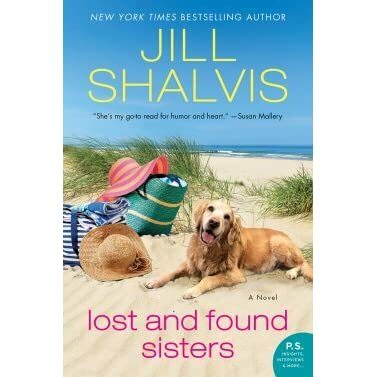 I think every reader is going to be excited about Jill Shalvis releasing a new woman fiction book. Jill Shalvis is stepping out of her zone by creating a new series in the women fiction genre. But do not worry reader, it still has it's Jill Shalvis writing personality. Lost and Found Sisters will introduce a new female character that is finding their way in life. Quinn Weller has it all in her life but there is something missing. She has a dream career but she is finding it lacking somehow that she does not know if she should quit or not. While she is struggling with her career choice, she is also debating about her life choices too. She knows something is missing in her life but she does not know what. But you know life is always changing and unexpected that she gets the biggest news ever. She discovered that she is adopted and has a baby sister too. She moves away and heads to her birth mother town. It may be unexpected for her but everything makes sense to her now. She is finally going to discover what she is missing and who she is but it is going to be a bumpy ride since she is going to raise a teenager sister. It is no picnic whenever you are raising a child but raising a teenager is another story. It will be a long journey for both of them but together they will discover a lot about their self and each other. While they struggle about their self, Quinn will also meet a handsome yet heart-warming male. He is definitely a catch but it is going to take some time for Quinn to be with him. She is always caution about everything that she wants to be sure about everything else too. Lost and Found Sisters is definitely a great woman fiction because it gives realistic issues about sister relationship in any family. Five stars.